Calgary received a (mostly unwelcome) blast of winter on October 2nd this year. It is said it was the most snow in 60+ years. As Calgary has before, we rallied and as I look out my window right now, main roads are mostly dry, the bright sun has melted a ton of it already and it actually is quite pretty. 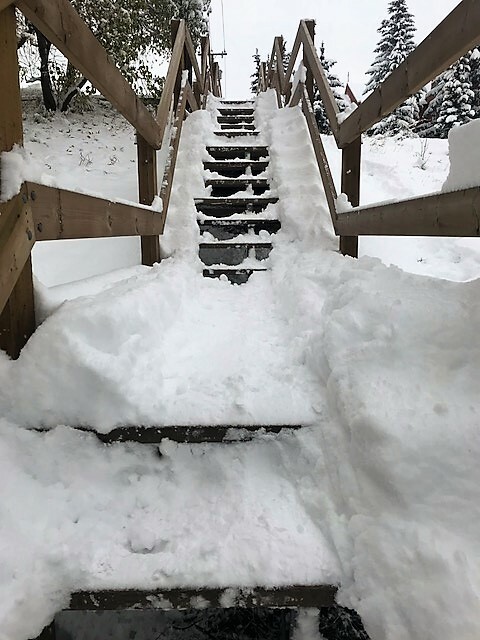 If you are one of the unlucky one’s needing to shovel through the piles of snow, you already know how much work it can be. I’ve written other blogs on shoveling safety in the past so for this quick note, I wanted to make a few key highlights as a reminder to keep your back safe throughout this upcoming season. Treat shoveling like a sport. Ok you may need to use your imagination for this if you’re trying to find the “fun” in this…and by no means am I implying it should be a race. What I mean is to ensure you are warmed up. Gentle twists side to side, lunges, side bends, should all feel ok and will help to warm-up your tissues that you are going to call upon to help you. Wear adequate footwear. If your shoes do not have much grip, a lot of your muscle use and energy will be directed to keep you upright. You will be more tense and more prone for injury when you add shoveling to the mix. You want to be warm and relaxed to set you up for success. I know its cold out and often a job you want to get over-with, but shoveling smaller amounts at a time (both in terms of area and how much snow is on your shovel) will reduce the load over time. If you have back pain or prone to back issues, ask for help. If your neighbour is elderly or injured, offer to help. Sometimes the damage that we incur isn’t from the one event/ snow fall but the cumulative micro traumas effect over the course of the season. If you have the means, paying a company or neighbour to maintain your sidewalks may be worth it! The healthier your spine and body is now, will have a huge effect on how resilient you are to all the unexpected events that can come with winter sports, shoveling, slips or falls. Of course if the unfortunate does happen, get checked by your Chiropractor!